First, let’s clear up any confusion. 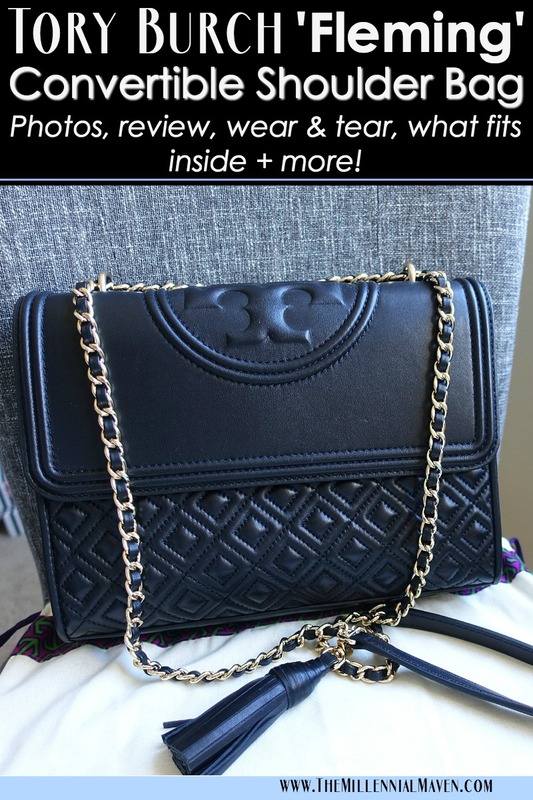 Tory Burch ‘Fleming’ Convertible Shoulder Bag comes in two sizes- the regular, which is the one I have, and a ‘Small.’ I tried on both sizes in the store, and there is quite a big difference between the two. According to ToryBurch.com, the measurements for this bag are as follows: 7.79 inches in height, 10.76 inches in length, and 3.19 inches in depth. Round those as you will in order to actually make the numbers mean something. The bag comes in a variety of colors, that seems to be updated for new seasons. Visit the official Tory Burch Website HERE to see the current offerings. Tory Burch ‘Fleming’ Convertible Shoulder Bag costs $498.00 USD. Tory Burch is a widely available brand, and so there are plenty of options for purchasing the bags. I purchased mine from Bloomingdales, mainly because it was on sale at the time. Why pay $498 when I knew I could get it for less? Including tax, I paid roughly $391.00 for my bag. I think I got a pretty good deal. I prefer purchasing from stores that have a physical presence in my city, and that offer a generous return policy. This way, if anything is wrong with the bag, I can easily take it back to the store and not have to stress about it. At the time when I purchased my bag, the descriptions specifically stated that the bag is crafted out of lambskin leather. However, the “Lambskin” part has since been removed everywhere, and not it just says “Leather.” I don’t know exactly what materials the newest versions of the bag are made from, but based on photos, they look very similar. Lambskin is known to be a very delicate leather. You can just tell when you touch it, as it feels so soft under your fingertips. Before I purchased, I researched lambskin leather like a fiend to figure out if I’d be making an expensive mistake by purchasing such a delicate leather. I came to the consensus that lambskin leather certainly requires care, but it isn’t as helpless as you may believe. I exercise caution while wearing this bag, but I don’t stop living my life while I have it. Brushing up against a thorny bush would probably leave a scratch. However simply placing the bag down on a table while out and about won’t leave unsightly marks, if that’s what you are worried about. Versatility is one of the most important boxes handbags must check off. This is especially true when the bag isn’t of the disposable “fast fashion” variety. 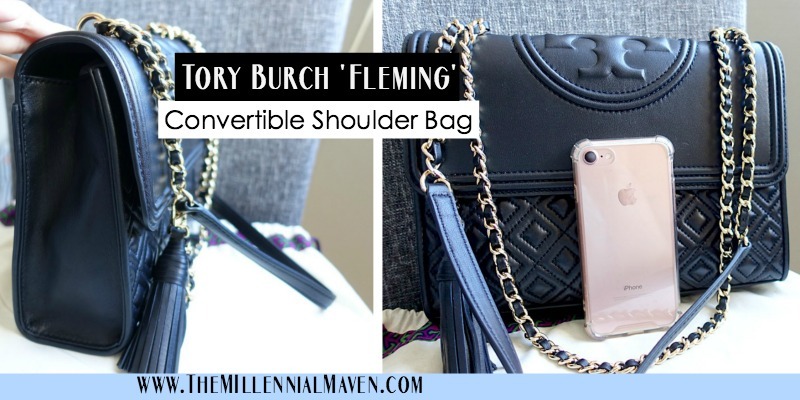 I love that my ‘Fleming’ can be worn as a cross body bag in casual situations, or I can simply hang it on one shoulder and have it hanging near my hip. The weighty gold chain pulls completely through do “double up” so the bag can be worn at waist height as well. Quilted Design & Tassel // I think the design is just gorgeous. I love the contrast of the quilted patten with the smooth top flap. It gives the bag an extra unique touch. The tassel adds a nice bit of detail along the long strap, and I think the bag would look like it is missing something without it. The stitching is even and feels well done, and there are no places where I am concerned it will start deteriorating any time soon. Magnetic Exterior Pocket // The back of the bag features a large flap pocket that extends the entire width and about 3/4 of the total height. The magnetic closure is strong, and so I feel secure placing my phone in this exterior pocket for easy access. Interior Compartments // The ‘Fleming” Convertible Shoulder Bag sports three interior pockets. There is a zippered compartment on the back side of the bag, and a double flap pocket setup on the front side. The two flap pockets are long enough to fit my iPhone 7 lying down, but the iPhone Plus phones would not fit. I enjoy having multiple smaller pockets so I can organize things like my lipsticks, mints, pens, etc. without jumbling everything within a few huge pockets. Sewn-in side panels // I have heard mixed reviews about how the sides are folded in and stitched shut, but I think this is a good feature. The folds take up some space inside the bag, but I like the structure and security they give the bag. I believe the bag would be much floppier without the added support. Plus, the folded over flap doesn’t offer much concealment for the contents of your bag, and so the folds help with that. Magnetic clasp // Like the rear magnetic closure, this magnet is very strong. It is a good thing, until you want to get inside the bag. I find that it requires a considerable tug on the flap to pull the magnets apart, and I worry that over time the front flap will end up permanently bent because of the pressure. All I can do is be extra gentle with it and hope for the best. Somewhat difficult to get in and out of // The top flap is pretty stiff and it doesn’t really like to straighten out. This makes opening the bag and keeping it open while you look inside difficult. I had a heck of a time trying to capture the pictures below. No “feet” // I enjoy when bags have feet because then I don’t have to worry so much about scratching it by placing it down on something. Perhaps this bag isn’t made to be stood up, but I find that it stands up on its own quite well, and having weighted feet on the bottom would help immensely. I went with the larger size because I wanted a bit more freedom with what I carry, and I am very happy with that decision. While I can’t toss everything in, I can get all the essentials in with little compromise. As you can see, my full-size iPad fits snugly inside. I could also fit a full size wallet in there too if I didn’t have much else. Without the iPad, I fill the bag with my regular sized wallet, plus my phone, keys, and other small essentials. 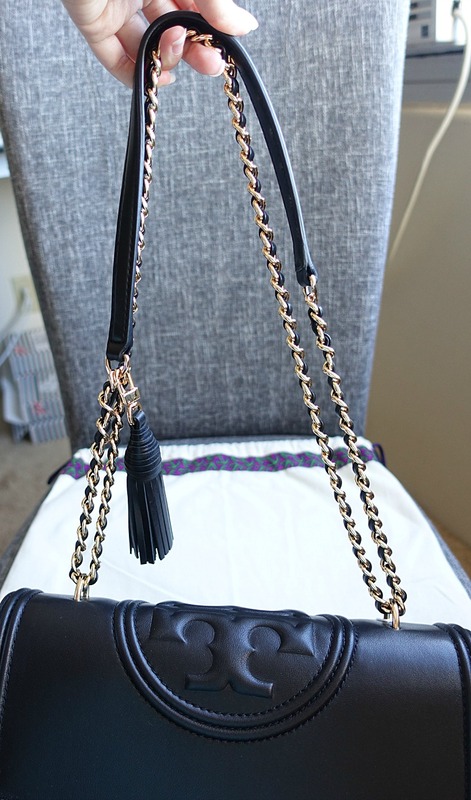 I purchased this bag for dressier occasions, but I find that it is surprisingly versatile. It looks super smart paired with a dress for going out in the evenings. Though, it also looks right at home against a t-shirt and distressed jeans. None of these concerns have happened as of right now, but they are things I am on the lookout for. Stitching coming undone // I’m really not worried about this one, as all the stitching seems very well done. All of the seams feel very sturdy and stiff. Nicking & scratching the leather // Obviously, I do worry about this since the leather is so soft. Nothing makes a handbag look aged faster than scratched and scuffed leather. It is inevitable, though I am acutely aware of my surroundings and what could be touching the bag. Leather cracking // I have had issues with the leather on the shoulder straps of other bags cracking. Since lambskin is such a delicate leather, I am aware it is likely to happen with this bag. I purchased a good quality leather conditioner that I use every month or so to keep the leather moisturized. 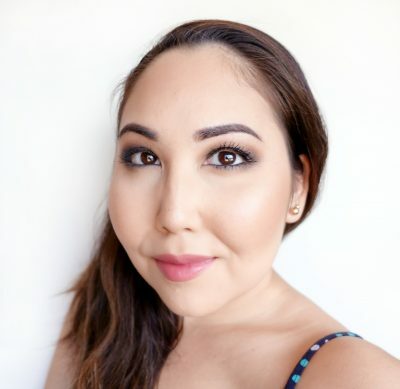 Color transfer on lighter colors // I wanted the cream shade, but I figured that I’d have an atrocious color transfer problem with my love of dark jeans. With the delicate lambskin, I worried I wouldn’t be able to get the stains out without damaging the finish. I didn’t want to risk it. I love Tory Burch because they have a great selection of lifestyle items, but the collection is not overwhelming. The overall style has an “old time glamour” kind of feel, which I really like. Hi! 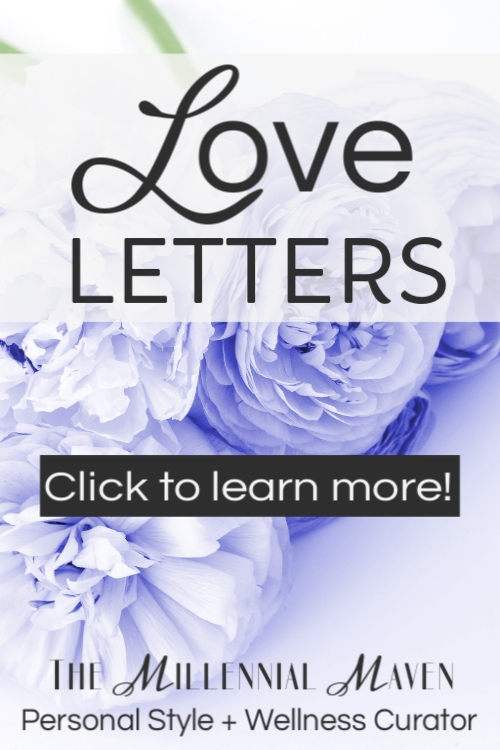 Is your gold somewhat darker and richer? Or is it more of shiny lighter gold? Also, do you have a little letter “C” on the tassel clamp on the lower right corner? Hi does it smell like plastic? Hi does is smell like plastic when its new ?? Hey Kay! Is a tag of where it is made from with code sewn somewhere in the bag for authenticity? Hi Elise! There is a tiny tag inside stating that the bag is made in China, and it also contains what looks like a lot# and a date. I can’t find any individual serial number anywhere on the bag 🙁 I hope this is helpful. Thanks for commenting! What brand of cleaner/conditioner do you use?